The Solar Plexus Chakra, or Manipura, rules life lessons of rejection, self esteem, and sensitivity to criticism. Similarly, it can reflect a distorted self image, and a fear of your “secrets being found out”. The wisdom of the Solar Plexus Chakra involves your sense of personal power and knowing. Likewise, it influences your personality and sense of belonging. Consequently, an imbalance may manifest as poor decision making, and poor concentration, and an inability to judge situations accurately. Imbalances in the Solar Plexus Chakra can create feelings that you are more, or less, than other people. Emotional memories are stored within the Manipura, and it is where your ‘gut feelings’ originate. 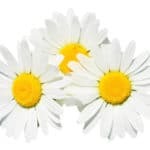 It is the center of your emotional life, and as a result, many are naturally connected to the environment through the Solar Plexus chakra. Where is the Manipura & What is it’s Color? 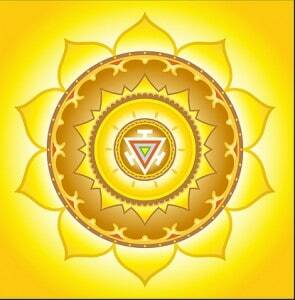 The Manipura Chakra is right above your belly button, at the center of your solar plexus. It’s colors are yellow and gold. The Manipura is connected to the Mental layer of the aura. The mental layer of the aura vibrates with, and is formed by, our thoughts. It is a fine, bright yellow energy, and pulsates and thickens when we concentrate and focus our minds. The wild and natural sound of fire resonates with the Solar Plexus chakra. Likewise, the vowel sound “Oh”, and the mantra chant “Ram”, and the musical keynote E is associated with the Manipura. Above all, the most direct way to awaken the vibrant, personal power within your Solar Plexus, is through sound frequencies. While there are several sound frequencies associated with the Solar Plexus, including 126.22 hz an 320 Hz, certainly the most powerful is the Solfeggio frequency of 528 Hz. This Solfeggio tone is reputed to facilitate “Transformation and Miracles”. 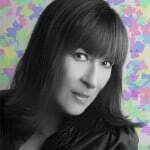 This cutting edge MP3 combines binaural beat sound healing, with ancient Chakra balancing traditions. It features Tibetan Singing Bowls tuned to the Solar Plexus Chakra, and the Binaural Beats use a Solfeggio frequency of 528 Hz. The sound progresses along Earth Resonance frequencies to a low of 7.83 Hz (Shumann Resonance) and ramps back up to an Earth Resonance of 14.1 Hz. Simply close your eyes, and spend 27 minutes with a pair of headphones and our Alpha Level Binaural Beats can balance and refresh your Solar Plexus Chakra. This deeply relaxing and releasing meditation will not only help to balance your Manipura Chakra, it will also balance your spirit to the frequencies of our Mother Earth. 27 Minute Binaural Beat 3rd Chakra MP3 and 8 minute MP4 video with Pay Pal for desktop. This Chakra balancing MP3 and MP4 package includes a 9 page eBook with complete information all about the Chakras. Our automatic download system will redirect you immediately to a download page, and also send you an e-mail with download instructions. If you don’t see the e-mail, check your spam filter. 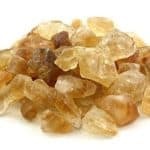 Among the Chakra essential oils used to balance the Manipura are chamomile, yarrow, vetivert, petigrain, peppermint, lemon juniper, and marjoram. Third Chakra foods are grains, pasta, bread, granola, cereal, flax seed, rice, and sunflower seeds. Also dairy foods like milk, yogurt and cheese. Finally, spices such as ginger, mint, chamomile, cumin, turmeric and fennel balance the Manipura. Chakra Gemstone jewelry such as golden topaz, citrine, amber, yellow sapphire and yellow tourmaline are useful in Solar Plexus chakra balancing. Yoga poses like the Bow, or “Dhanaurasana”, can help to realign the Manipura chakra, as well as maintain flexibility and youthful health and well being. If you like this Solar Plexus Chakra video, you can download it as an Android or Amazon app. Hello, I am Dr. Jane Ma’ati Smith C.Hyp. Msc.D. I studied for my Bachelor of Arts degree at ASU, and also received an honorary doctorate for my lifetime achievements and contributions in the fields of metaphysics and spiritual counseling from Universal Life. I studied hypnosis with Dr. John Kappas, and am a certified graduate of the Hypnosis Motivation Institute. Also, I am a Sound Energy Practitioner and a Vibrational Reiki Master. 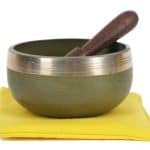 Consequently, I bring to my Chakra healing, sound therapy, binaural beat programs more than 15 years of professional work in the mental health and counseling fields. With more than fifteen years of success in the helping professions, helping everyday people just like you to help themselves is a lifelong conviction. Placing people firmly on their personal path is my passion- are you willing to take the first step?